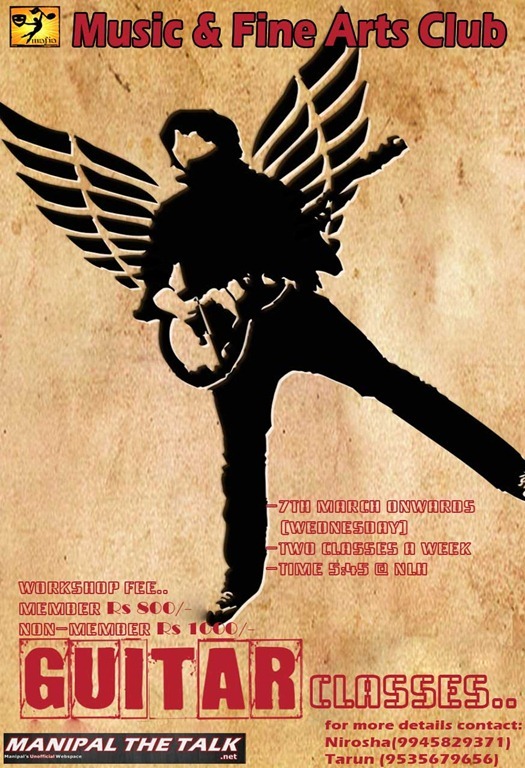 20th of February saw what is arguably the most entertaining event of Pre-revels, for the music fans. What was normally known as a metal fiesta, was now an event filled with surprises. Contrary to last year, where the Battle was a tussle between the death metal heavy weights, this time the the diversity in the music was impressive. 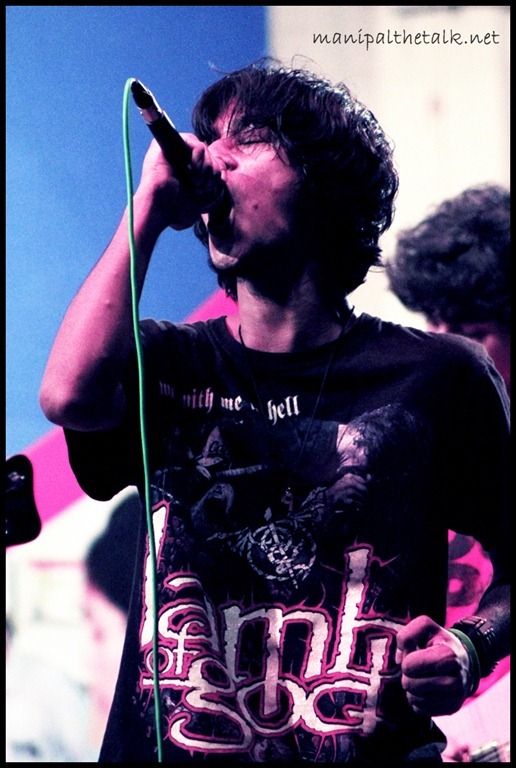 The event kicked off with some rock, which was followed by pure metal, punk, alternate and even jazz. The energy of Metallica, the trance of Floyd and Pearl Jam and the serenity of Jazz. The colossuses truly set the stage on fire. ‘Wait For It’ performed the ever so famous ‘Back In Black’, Sane Asylum (Last year’s winners) growled the crowd to euphoria, while Monkey Skull played something out of the world , as they had promised. The event ended with a beautiful performance that had both Indian classical and jazz in it. Eventually two bands got through to Revels namely ‘Wait for it’ and ‘Waka Chaka’ (the last performer), while ‘Paradox’ and ‘Who Guns N’ Roses are’ were kept on standby. 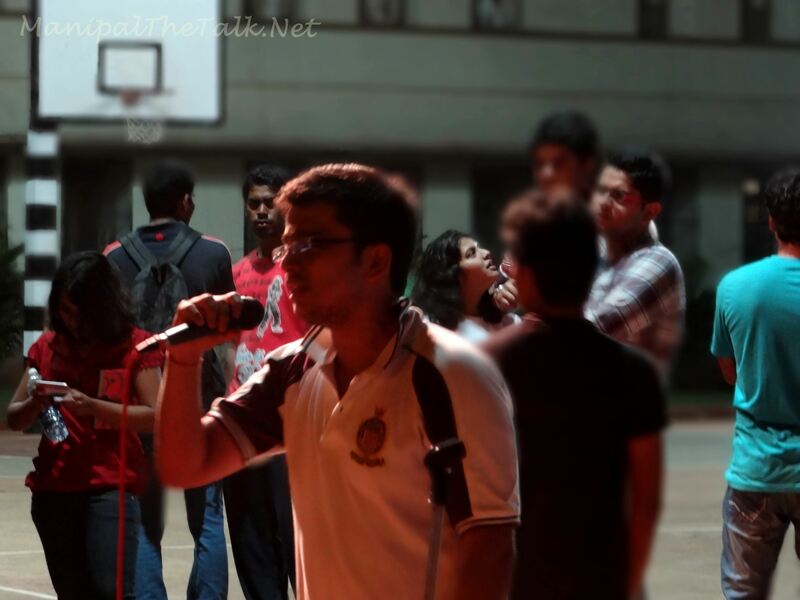 The final round to get through to revels in eastern and western vocals and dance (solo) was held at MIT quadrangle in AB1 on 19 February, 2012 from 5:30 pm onwards. Nearly 8 participants in each category competed to bag the first three places which would take them to Revels 2012. 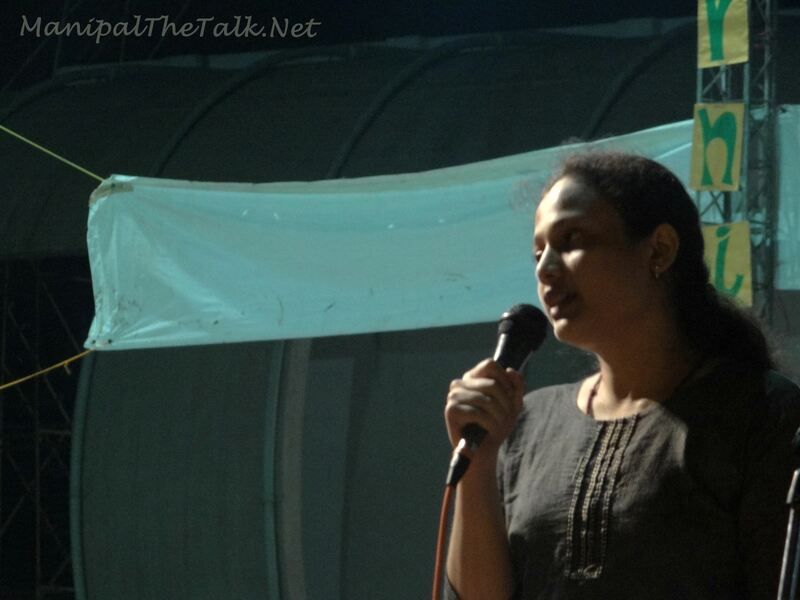 The event began with the western vocals where all the participants left the audience spellbound. This was followed by the eastern vocals. Later began the dance frenzy with the eastern and western solo dance rounds. The participants forced the audience to dance to their beats with their energy packed performances along with fabulous expressions. There was even a performance by a little girl, who later turned out to be a judge’s daughter, on ‘chikni chameli’. 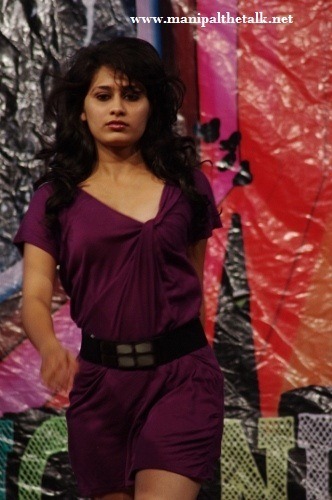 19th February, 2012: The hugely hyped finale of the pre revels finally saw the light today with the fashion show providing a climax that was too astounding to be unscripted. A gathering of around 150 dyed in the wool fashion enthusiasts, witnessed a show full of colour, zeal and splendour, lead with panache by a truly dizzying array of models. 3 teams participated in all. The teams had their own choice of themes. Burning Ice presented “the seven deadly sins”. Seven deadly sins are those transgressions which are fatal to spiritual progress and might be committed by people around every day. The models walked in, each representing a different sin. Different colours symbolised the various sins, each one trying to portray how the good spirits are able to get rid of their evil power. Glam N’ Glitz on the other hand came up with yet another interesting theme; Gothic. With the Devil in the centre, people clad in dark clothes and and the ladies strutting their stuff in purple lipstick, one could feel an eerie atmosphere. Riding on their glory of being last year’s winners, they did not disappoint us, as their theme was appreciated by the audiences and the judges alike. There was a slight technical failure in the middle during the second team’s performance. But that didn’t deter the audience’s gusto and the show later quickly regained momentum. Shrish, One of the models of Burning Ice, said “we had been preparing for the past 2 weeks and it is really overwhelming to finally perform in front of such a huge crowd. We now look forward to clearing this round and then gear up for the main event-Revels”. All in all, it was indeed a memorable and well-rehearsed performance by the teams, which was taken a few notches higher thanks to the constant support and cheering of the crowd. Finally both Burning Ice and Glam N’ Glitz got through to the final round while Splitleaf was put on standby. After a tough competition on 25th Jan for the Eastern Vocals Round 1, 38 participants competed for the top 3 positions and qualify for Revels. The 2nd round for Eastern Vocals was held by Mafia on 1st Feb under Pre-revels, the gateway to Revels, 2012. With an altogether different environment from KC, the event was held in the Library Auditorium. The theme was only 90’s songs and the participants could bring a karaoke track with them. Each participant had 3 minutes to put forth their best. The esteemed judges for the evening were Mrs. Poornima Bhojraj and Mrs. Uma Udayshankar. ng ‘Aawara Bhanwre’. ‘Kehna hai Kya’ from the winner of Sa Re Ga Ma Pa (Telugu) left the audience spellbound and then the cheers and claps were unstoppable. Every other contestant made the competition tougher and the judgement more difficult. Just when it seemed that girls were about to take all the limelight, came the songs ‘Dooba dooba rehta hoon’ and ‘Main koi aisa geet gaaun’ along with guitar from the guys’ side. This proved that there was a lot to look forward to for the evening. After a while the seniors took the stage and made the evening a memorable one with soothing songs like ‘Dil hai chota sa’ and many more. 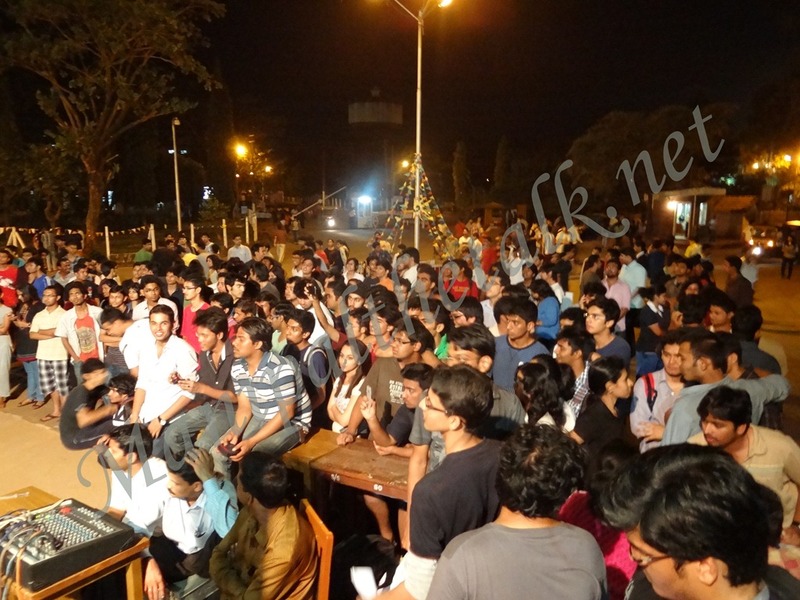 The second music based event of Pre-Revels organized by MAFIA after Eastern Vocals was the much appreciated and considerably more popular, the Western Vocals solo competition, held from 7PM to 10PM at Kamath Circle, Manipal. 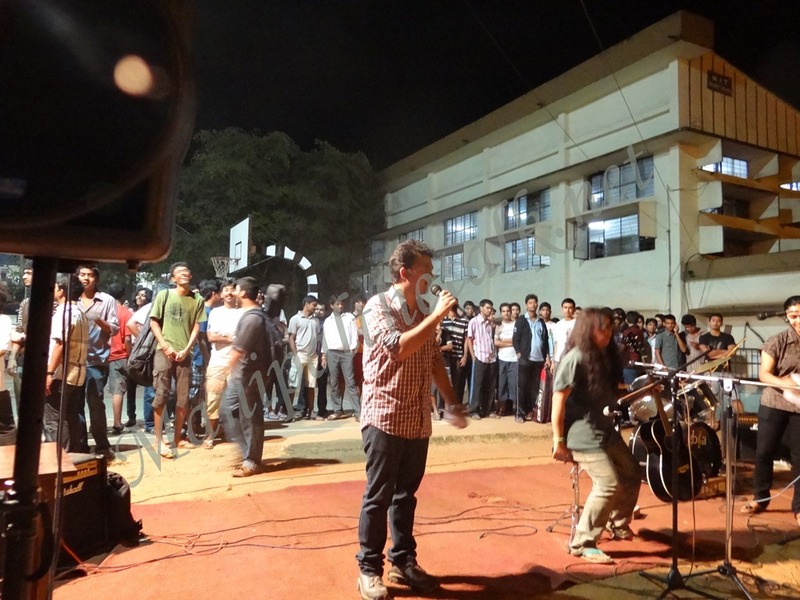 The event, introduced as a direct entry to Revels in March and MU based Utsav later, was thronged by musicians and vocalists from around the campus to participate in as well as witness a harmony of talent prevalent in MIT. As opposed to the Jam Night, MAFIA restricted the use of distortion on guitars as well a drum kit for vocal performances, allowing instead pure Karaoke tracks. Set against the backdrop of the unavoidable basketball matches, tunes to artists like Chris Daughtry and Celine Dion drowned all noise by their sheer brilliance and beautiful melodies. Participated by almost 75 students, a wide range of artists were covered including Avril Lavigne, Taylor Swift, Hinder, Maroon 5, Oasis, Greenday, Hoobastank to name a few. Notable performances included renditions of Adele’s ‘Rolling in the Deep’, The Beatles’ ‘Yesterday’, ‘Hero’ by Enrique as well as Elton John’s famous ‘And that’s why they call it the blues’, all of which which managed to garner a wide and much deserved applause. While the evening ended with performances being cut off midway to accommodate the 2minute time restriction, judges Anand and Bhakta Sir tabulating their results, Kolaveri D, sung by random selections enthralled the crowd to a melodic end to the evening. Results have been posted up by MAFIA on their Facebook page for all who are interested. The second round for the event takes place at IC on the 1st of February. 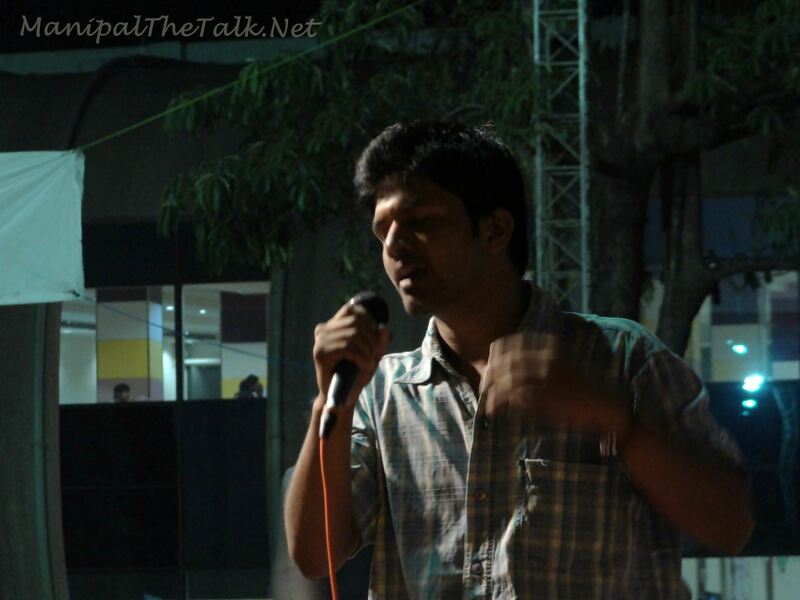 The Eastern Vocals Solo Round-1 was organized today, 25 Jan, at Kamath Circle by MAFIA. The event started just as the twilight set in for the evening and MITians flocked KC to witness this event and listen to some beautiful songs. The event was going to be a qualifying round for MITians to take part in Revels. It was a solo round but singers could bring Karaoke Tracks or Instruments. Each participant had 2 minutes to give their best to the audience and score a chance to perform at Revels. The esteemed judges for the event were Mr. Bhatt, Music Composer, also an artist at ETV and Mrs. Usha from Sa Re Ga Ma School. 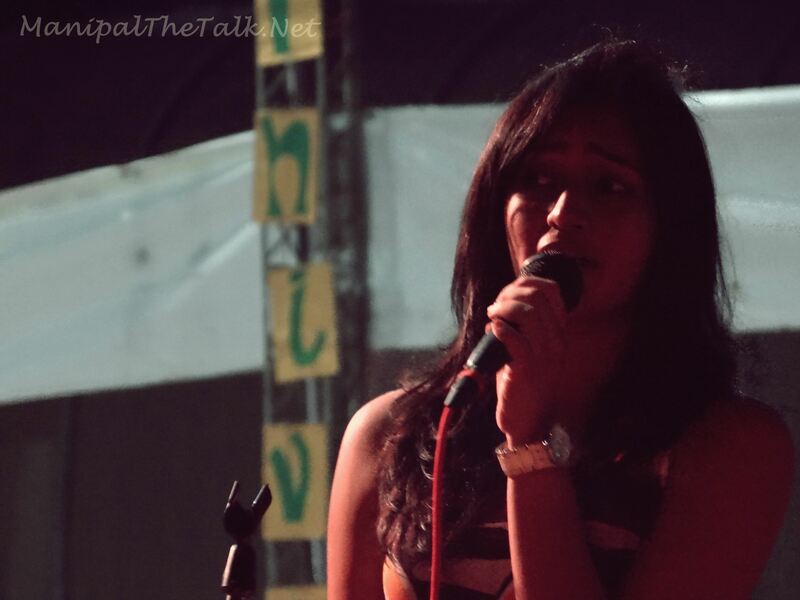 The first song was a rendition of Kailash Kher’s “Teri Deewani” and the participant did justice to the soulful tune, as the audience was left in a trance. 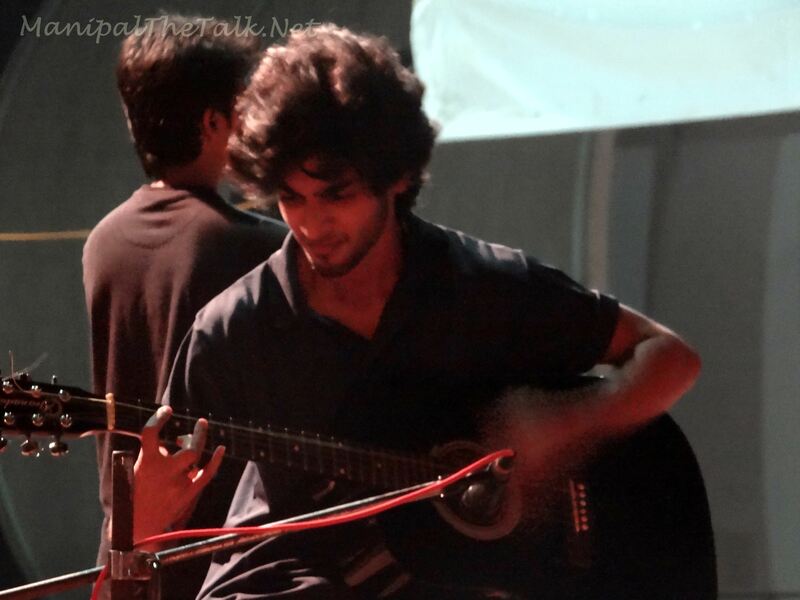 This was followed by a participant singing “Gulaabi Ankehein” with the help of guitar as his instrument. That song left the audience in awe and the crowd was charged with passion and excitement. There were many classics songs also. 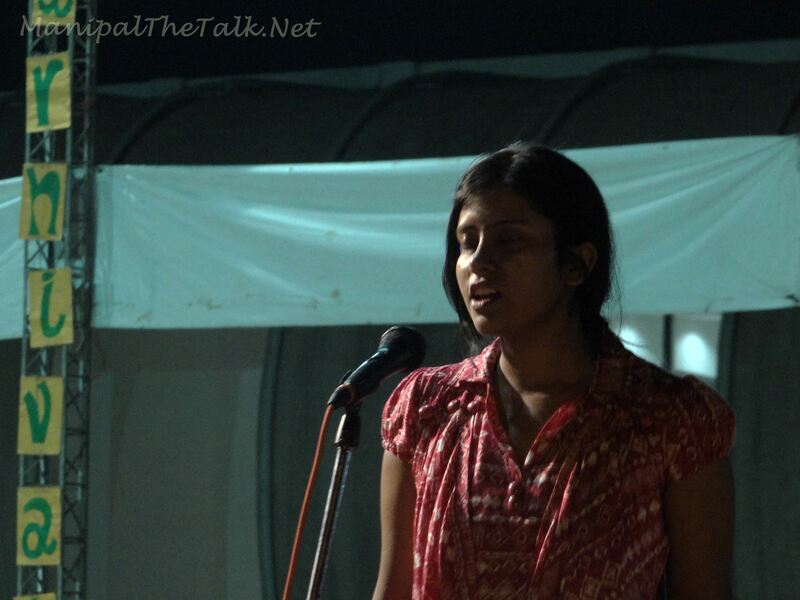 A participant even sung “Ae mere watan” keeping in mind that Republic Day is near. “Te Amo” and “Saiyyan” also were much appreciated by the crowd. “Maiyya Maiyya’s” sensuous Turkish tones left the people present there on a musical high. A horde of other songs were sung by participants who also made it quite a pleasure to listen to. 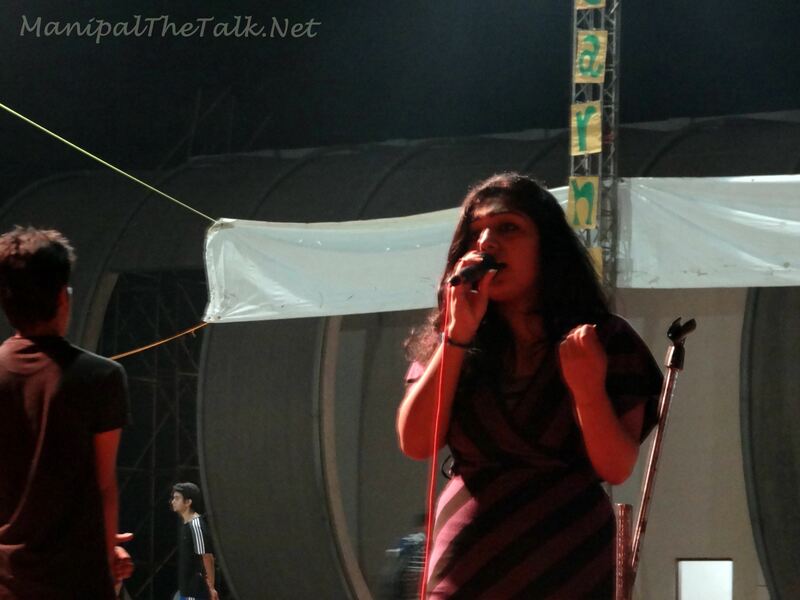 The Pre-Revels Jam Night organized by MAFIA, Manipal was a spectacular show. It was a music and dance fiesta and a reminder of what Revels holds in store for Manipalites. 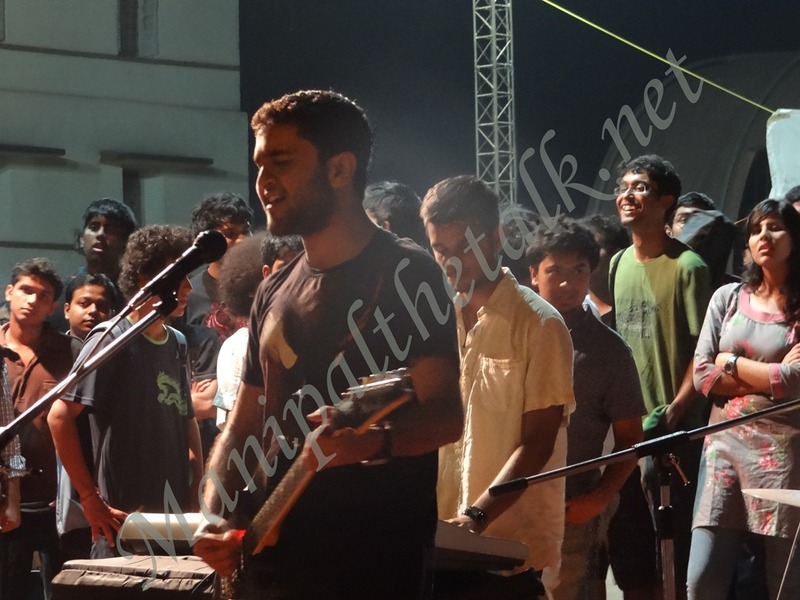 It consisted of different bands performing songs from various genres of Music. The show took place at Kamath Circle (KC) and was a crowd puller, throngs of MITians gathered at KC to listen to the beautiful music. Not to be confused with the Acoustic Jam Night which took place last semester, here vocals, base guitars and processors were very much allowed. 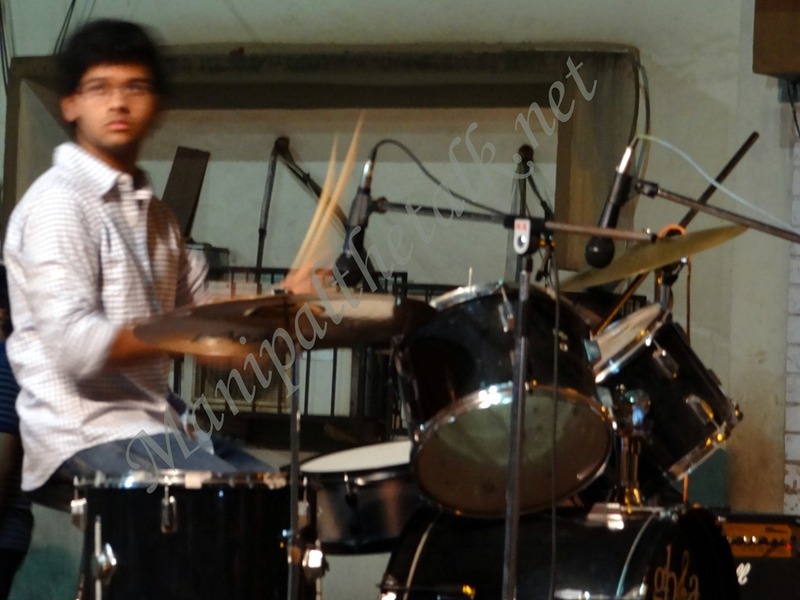 The atmosphere was filled with the music of Electric guitar, synthesizer, tabla and drums. 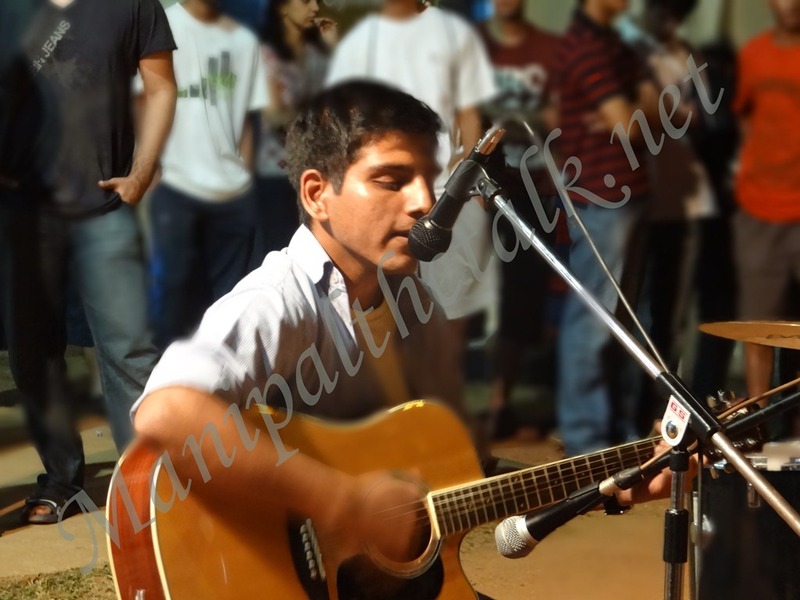 The Jam Night had various bands performing both Bollywood and Western songs. The event was also a stage for the participants to get a little limelight on them ahead of the Pre-Revels and the Revels (to be held in March after the first sessionals). The participants were given six minutes in all wh ich included time to setup the instruments and perform their act. 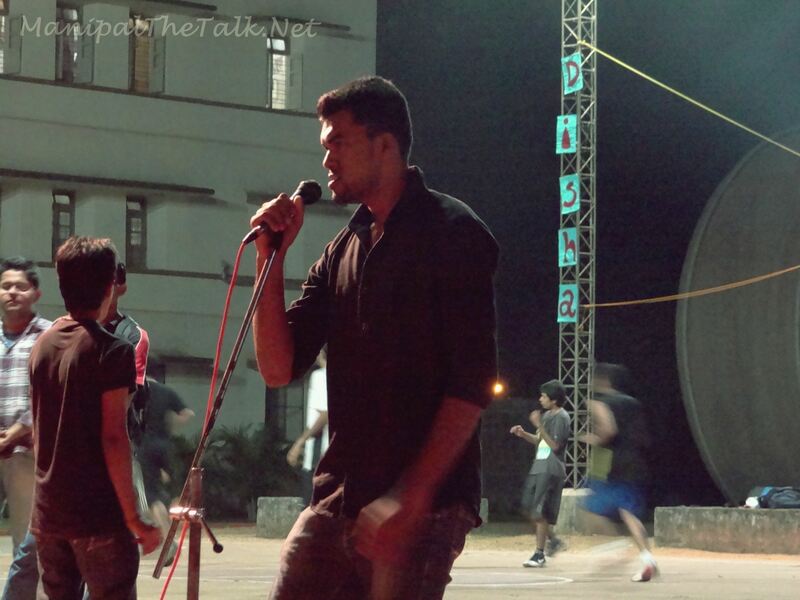 The first song ‘Tumse Hi’ received great response from the crowd and set the tone for the evening. Every subsequent performance just seemed to raise the bar higher. 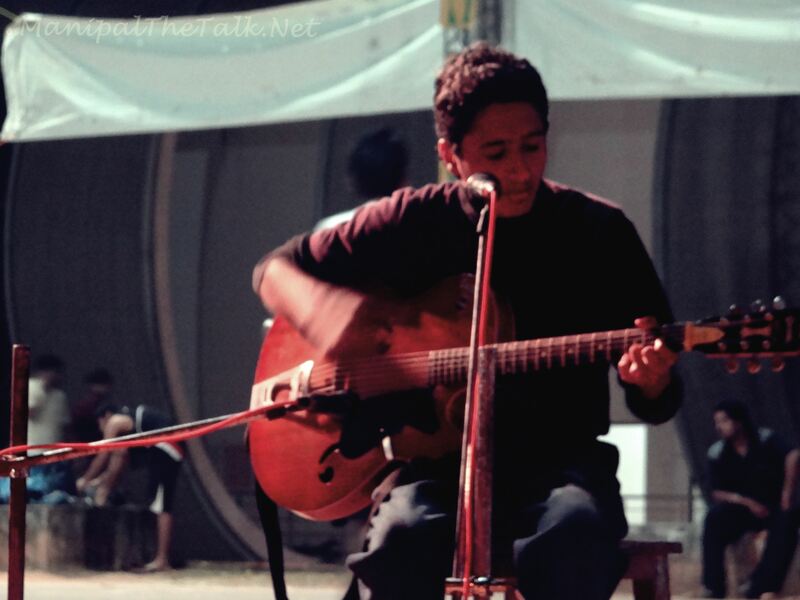 Acoustic tunes to ’21 Guns’ to Metallicas’s ‘Nothing Else Matters’ were belted out wonderfully by talented Manipalites. The crowds grew and at one time it almost felt like a full blown concert. There were many excellent vocalists and some eccentric performances too. A little more than halfway through the Night another Flash Mob took place and KC came alive with people dancing to popular Bollywood songs. Seeing guys romp to ‘Chikni Chameli‘ was a great example of how much the event organizers connected with the crowds. The organizers of this Flash Mob were Ada and Mafia in collaboration. MAFIA is famous for organizing some of the best Musical Events in MIT. The frolic continued till late 9.30 pm. Songs at the end were quite good, seems they saved the best for last. “ Socha hai” – a famous r ock number from Rock On! Set the adrenaline pumping in the audience. Then it moved to slow love songs like “Hero” and “Who lamhe” , these songs brought love in the air. The Jam night ended with a song composed by a band called “Rooh”, which consisted of only first years, the song “Rooh main” that they sung got the audience mesmerized and enthralled. These guys gave a fantastic performance. This was the first Pre-Revels event and with such a great start we can’t even wait for what’s in store for us in the coming few days. We are finally in the ‘fun’ semester. Revels, the college’s cultural fest is soon to swing in action. For those oblivious to Revels, here is what is going to unfold in the upcoming months. For people interested to participate, it is required that they clear the Pre-Revels rounds. The Pre-Revels is organised by MAFIA, the music and fine arts club of MIT. 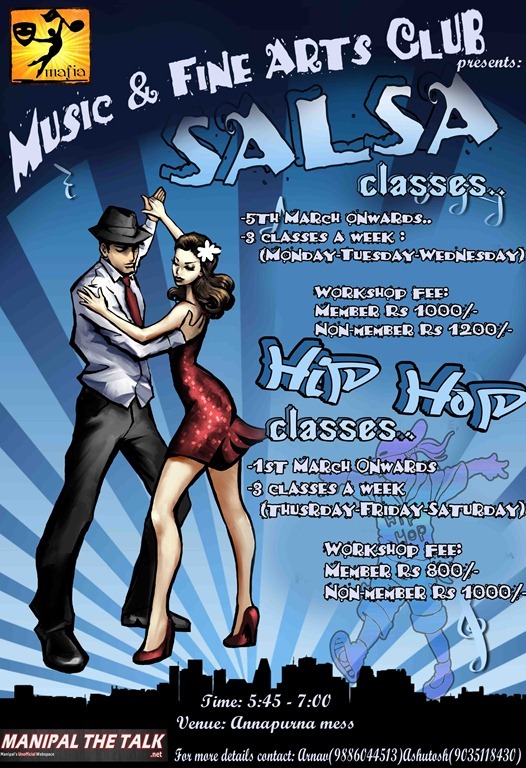 It kicks off on 25th of this month. An acoustic jam session at Food Court shall also be organised to heat things up on the 23rd. There is a GBM of MAFIA on 16th, that also includes the volunteer call for the club. The posters and info desks holding the details for the same shall soon be coming up.